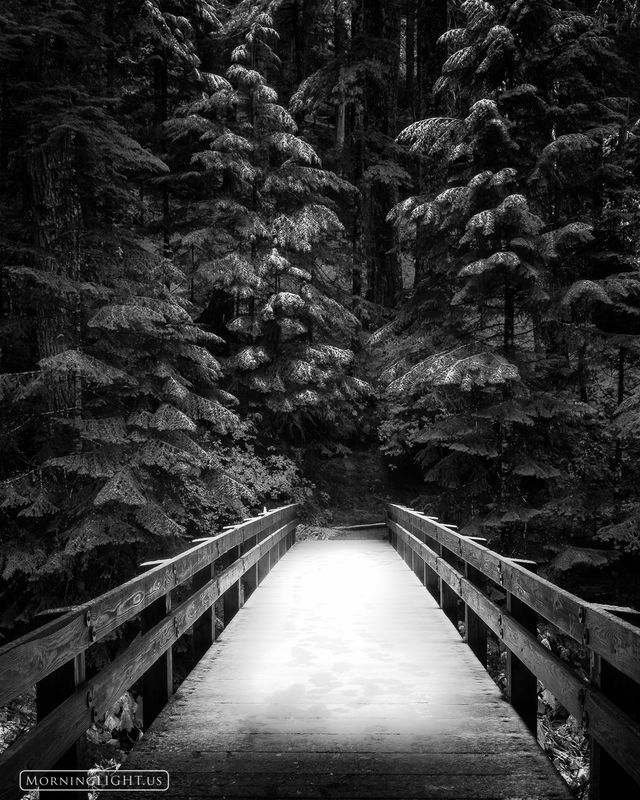 This bridge sits on the trail to Deer Lake not far from the Sol Duc River in Olympic National Park. A coat of fresh snow helped add to the scene. Photo © copyright by Erik Stensland.